Zakk Jones is a Columbus based guitarist, composer/arranger, and educator with a B.M. in Jazz Studies from Capital University. Raised in Portland, OR, he started playing piano at the age of 6, eventually receiving regional and national awards for composition with the PTA and “Fear No Music” project. After picking up the guitar in middle school, Zakk focused on playing in bands and preparing for music school, eventually attending Capital University with a large scholarship. In his 7+ years on the Columbus scene he has had the opportunity to play at major venues and festivals both locally and all over the country. He regularly tours and performs with Doc Robinson, Popgun, Safety Squad, Chris Jamison (from NBC’s The Voice), the Andy Shaw Band, the Coasters (legendary R&B group), Tony Monaco and his own trio in addition to others. From Jazz, Rock, Funk, Brazilian, Fusion and much more, Zakk has a deep command and love for all styles of music. He has studied with Stan Smith, Lage Lund, Peter Mazza, Corey Christiansen, Jonathan Kreisberg, and Gilad Hekselman. Besides performing, Zakk Jones is an adjunct faculty member at Mt. Vernon Nazarene University where he heads the guitar studio. He is also a columnist for Jazz Guitar Today, a stage manager for the yearly JEN (Jazz Education Network) Conference, and proudly endorses Eastman Guitars. 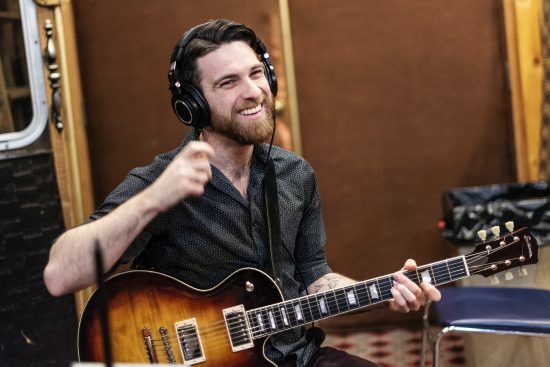 The Zakk Jones Trio Is a dynamic group that fluidly blends styles as varied as modern jazz, Americana/country and fusion, often even in the same songs. Between unique arrangements of classic songs/standards and original material, the trio brings any audience a fresh listening experience that’s filled with creative improvisations. Having met in their undergraduate studies years ago, the three have spent countless hours gigging, rehearsing, writing and simply hanging together, which is all an anchor for their strong musical connection. Performances include acclaimed NYC venue Bar Next Door, local Midwest engagements and a Winter 2018 Northeast tour that took the trio to Cleveland, Montague, Buffalo, Burlington and beyond. In Early 2019 their debut record will be recorded and released, along with a promotional tour.